1Put some water in a pan or pot. 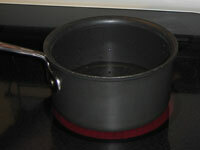 Don’t fill it to the top, or the water will splash out of the pan when it boils! 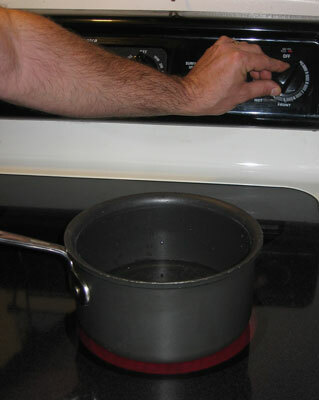 2Place the pan on your stovetop and turn the burner to the highest setting. 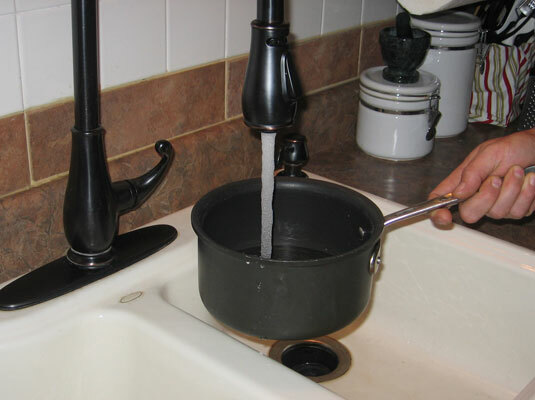 Your stovetop probably has a Hi or Max setting. 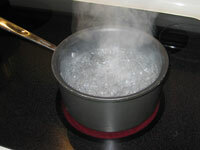 3Let the water come to a full rolling boil (when the bubbles are rapidly breaking the surface). 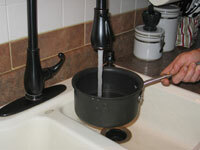 Covering the pot speeds the process by trapping surface heat.